Why Choose Underfloor Heating for Commercial Buildings? In the key areas of efficiency, comfort, health, design freedom and sustainability, underfloor heating delivers significant benefits to a building’s creators, owners and users. 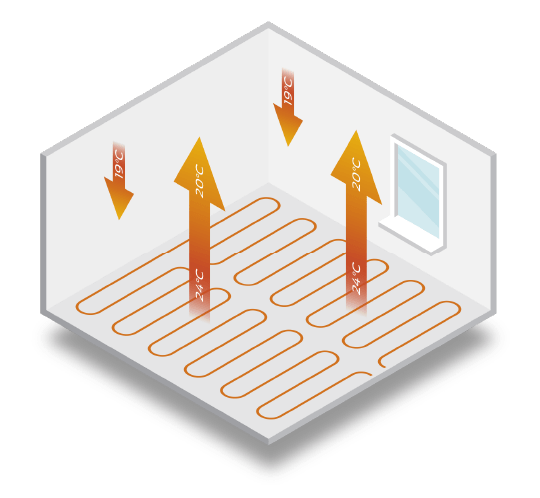 Surface heating systems have been shown to be 15-20% more efficient than traditional heating systems over the life of a building, rising to 30-50% for high ceiling spaces. Underfloor delivers the cool head / warm feet conditions that scientists have identified as ideal for human comfort. 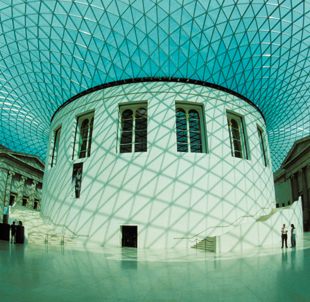 With intelligent control, surface systems can create an effective ‘steady-state’ building all year round. Radiators heat by convection, which can circulate bacteria, dust and fumes around a room. Underfloor systems reduce moisture levels in floor coverings, reducing slip risk, restricting microbacterial growth, virtually eliminating dust mites in carpet and, with no convection airflow, the circulation of germs and allergens is reduced. Underfloor heating gives architects and designers absolute freedom in layout and total flexibility in furniture or fixture arrangement. Interior designers are also free to choose almost any type of floor covering, from wood and tiling to laminates and carpeting. Because underfloor systems run at lower water temperatures, the call on energy sources is significantly reduced. Warmafloor contributes further to a reduced carbon footprint by lowering the environmental impact of our components and systems as much as possible.